Hi!! everyone.How are you ? 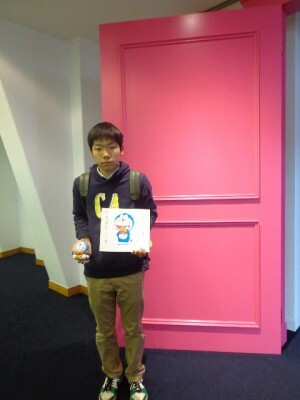 Oneday I was enjoy go for a short trot. 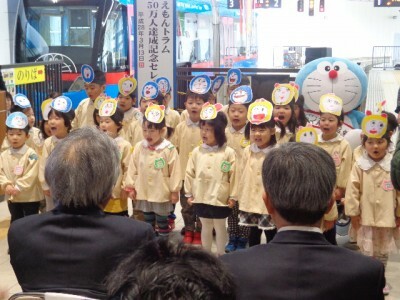 “Doraemon tram passenger celebration of reaching 500,000 people” was held!! I tried to join in the event! Our conversation got quite lively. 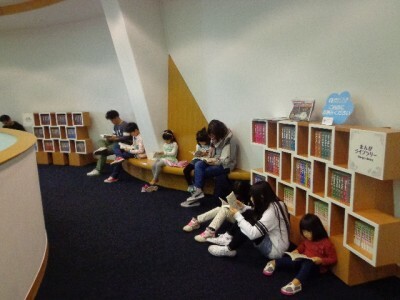 It was very climax of venue and a lovery kindergarten of the cute singing . 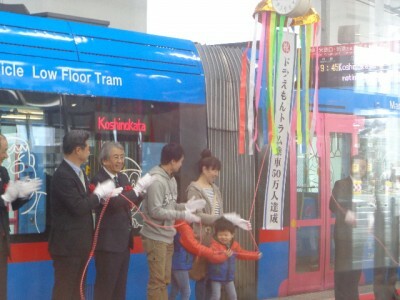 Doraemon tram it has been loved by Takaoka citizen ! 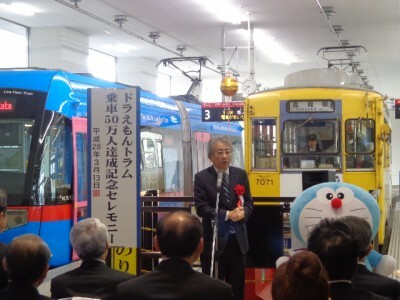 We will continue to work hard to be loved by citizens of Takaoka like doraemon tram. 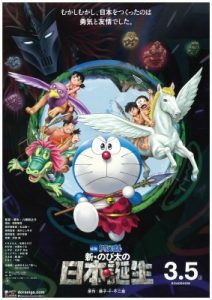 If you want going to gallery please take doraemon tram you may can enjoy Fujiko・F・Fujio home town more! 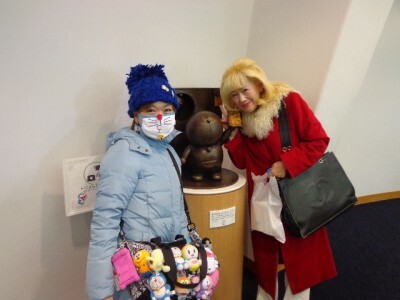 Totally spring full bloom gallery, I met towards the lovely mother-daughter love F character. 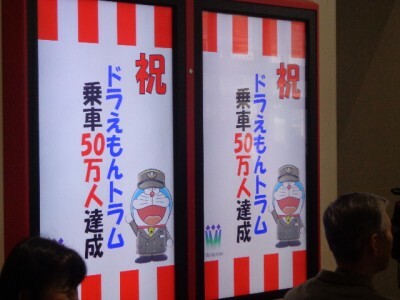 Last day Doraemon tram was maintenance check day. 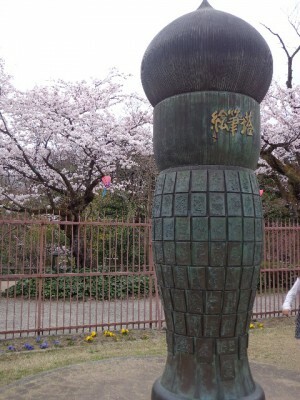 April is the best season to travel is during spring, when cherry blossoms are in full bloom . Today, I received a very happy gift from customer! 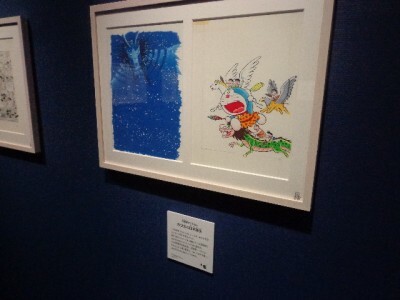 I please rushed with such a wonderful picture is to look at the Ferris 10,000 news. 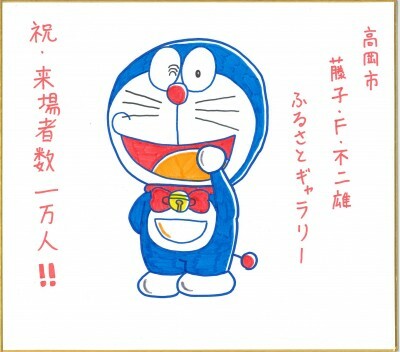 Doraemon are dressed up is very cute! Thank you for the happy comments even each SNS. I would like to take this opportunity to thank all of you.